crea.lign composites - crea.lign veneering composites are suitable for permanent veneering of metal, ceramic and polymer substructures. Available as gels and pastes. combo.lign luting composite - light and dual-curing luting composite for reliable shade reproduction and perfect bonding of novo.lign veneer and all framework materials. 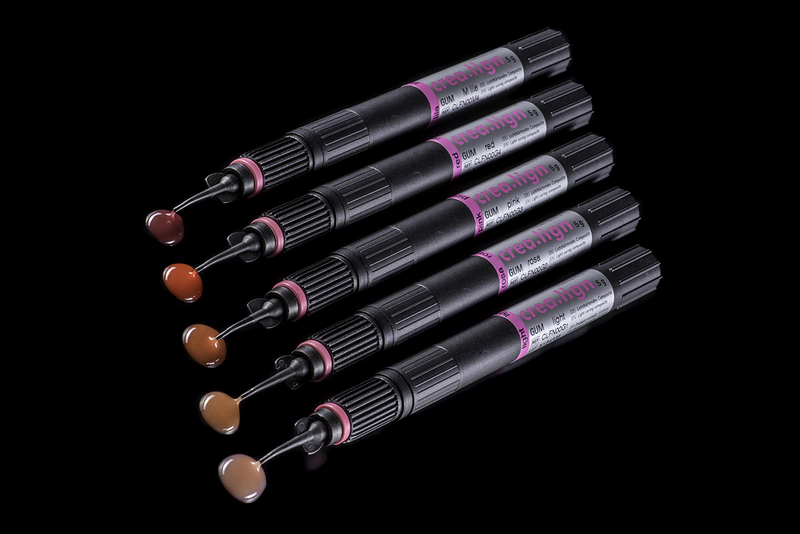 combo.lign opaquer - light and dual-curing opaque material to ensure perfect curing.